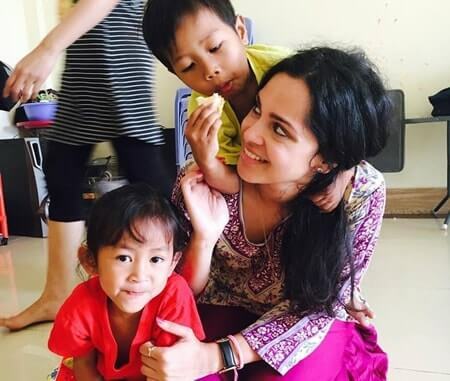 Volunteer in Cambodia with Volunteering Solutions to choose a range of volunteer abroad programs including Teaching English, Childcare, Medical, NGO Support. All volunteer opportunities in Cambodia are based in Phnom Penh from 2 weeks to 24 weeks throughout the year and are perfectly suitable for teenagers, families, groups, students who want to serve the community and gain life-changing work experience. High school or college students who are looking for a life-changing volunteer work opportunity during their gap year, volunteering in Cambodia would be a great option. 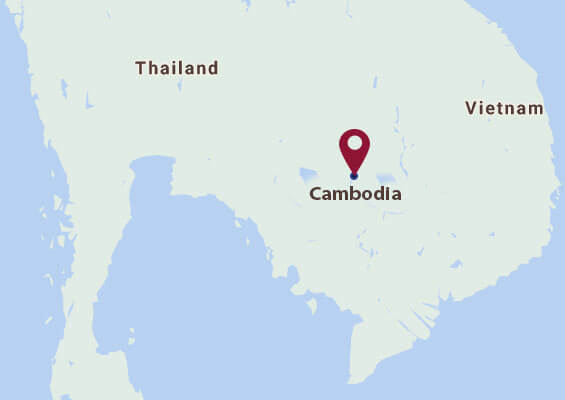 Cambodia is visited by thousands every year, who travel to witness the ruins of Angkor. But apart from that, Cambodia has a lot more to offer to the visitors. Explore the beauty of the country, and know more about the lifestyle and culture of the locals. Explore the beauty of the country, and know more about the lifestyle and culture of the locals. Volunteering Solutions can arrange for amazing weekend tours for participants who wish to explore with the local coordinators. Explore Phnom Penh and visit the Killing Fields and the museums, that will tell you the story of Cambodia's dark past. 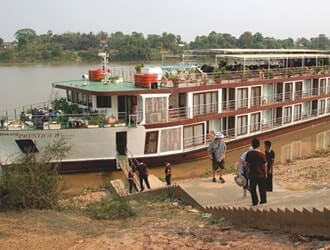 You can also go for the Mekong River Cruise. 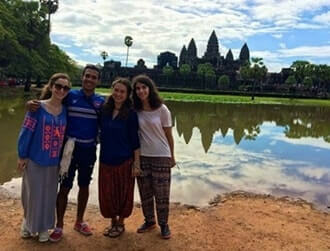 You can also head off to Siem Reap for the weekend and explore the Angkor Temple Complex. Other than Siem Reap, & Phnom Penh, you can travel to Sihanoukville, a coastal city in Cambodia which would be perfect for a relaxing weekend retreat. You must have always wanted to explore and gaze at the ruins of the Angkor Wat that dates back to 900 AD. Walk down the broken walls and admire the beauty of the carvings, soak in the aura of the Buddhism & Hinduism, get awed by the beauty of Bayon and get your perfect shot at Ta Prohm. You can also go for a boat ride on the Tonle Sap river, and see how the people live on the floating villages. Even in the city of Phnom Penh, there’s so much to explore that you can actually make good use of the weekends! Start your day by visiting the Killing Fields - Choeung Ek, a place where millions of Cambodians were killed during the 1970s. Take the audio guided tour, and you’ll get to know about the dark past of the country, in utmost details. From there, head off to S21 Museum and then the National Museum. In the evening, visit the Royal Palace and Silver Pagoda. If you’re craving for the beaches in between your volunteering sojourn, then we can arrange a weekend getaway to Sihanoukville for you! It’s just about 4 hours bus ride from Phnom Penh, and you’ll be welcomed by white sandy beaches and turquoise waters. There is no way better to explore Cambodia - the country of temples, than embarking on a Mekong river cruise. Hop on a cruise and gaze at the cityscape as you pass through Phnom Penh and slowly the views will change as you move outwards. It would be a perfect day trip, and you can indulge in savoring the delicious taste of Amok & steamed rice while onboard.